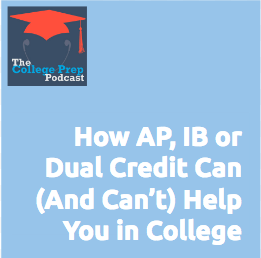 Many families assume that AP, IB and Dual Credit Courses will help them get ahead and save money in college. However, this is not always the case. The importance of remember these programs are part of a complete academic plan, and not the “be all and end all” of your college career. « 212: Is Your Student Vulnerable to the Cheating Epidemic?